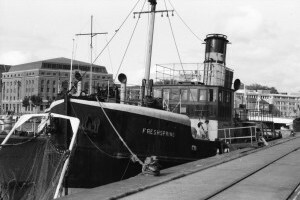 Steamship Freshspring is remarkably complete, her hull and superstructure are substantially intact, whilst her steam engines are in outstanding condition due to the care given to them over time. Built in 1946, she was the last of 14 Fresh Class water carriers, all of which were 121 feet in length. 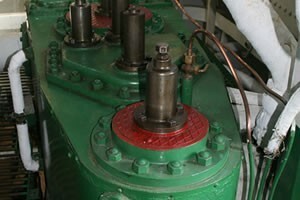 Her duty was to replenish Naval ships with fresh water for use in boilers. 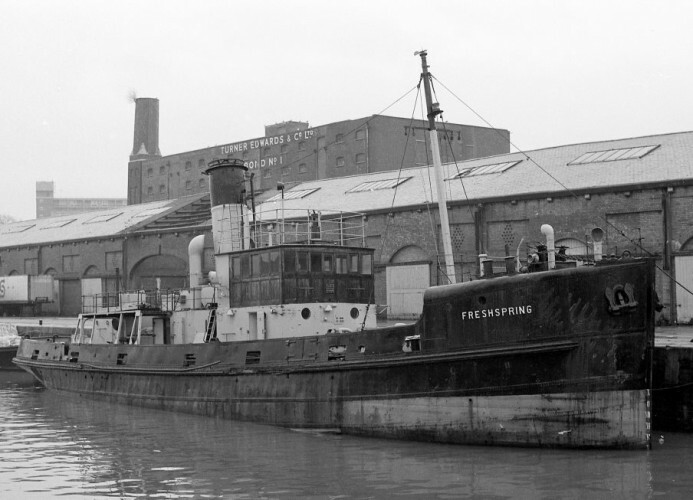 She also acted as a fire tender and salvage vessel when required. Her form reflects her role as a Royal Navy (RN) water carrier, with her pre-Second World War configuration her form reflects the type of general cargo vessel that was the work-horse of the British mercantile fleet from the 1920's to the 1950's. Our plans are to bring SS Freshspring back to operational condition for a sustainable future use, whilst retaining her external form and sympathetically converting her internal water tank spaces, mean that she will be the only operational vessel of this type. In the meantime presenting her afloat in Bideford as a static exhibit, means that she will be the only vessel of her type and age accessible to the general public.